DLVR Inc. announced today that the company’s video delivery optimization data and services, that help video publishers reach peak streaming performance on every device, are now available as one of the first services integrated into Deluxe One, a platform for content creators and distributors that unifies every stage of the content ecosystem in one cloud-based interface. DLVR’s cloud-based services increase the impact of a multi-CDN workflow through intelligent, predictive, performance and business rules-based decisioning. 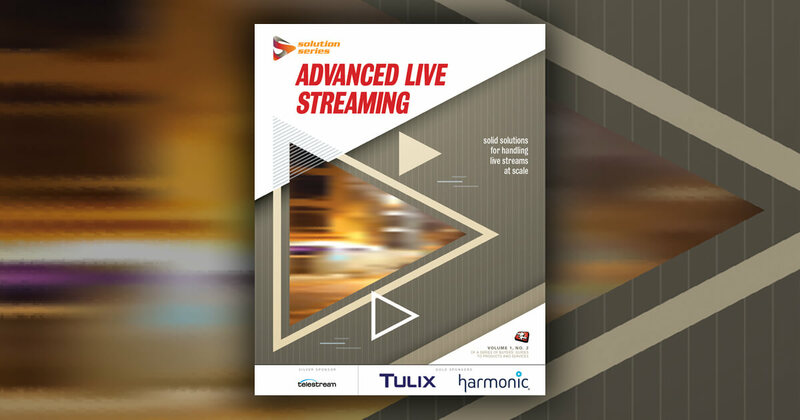 By capturing atomic-level video delivery data, DLVR is able to proactively route video traffic to the most performant CDN, avoiding hazards such as network slowdowns or outages, and improving overall streaming stability and quality. Publishers can quickly and easily take advantage of DLVR’s multi-CDN optimization and access real-time video delivery metrics via a tightly integrated, jointly developed custom experience available only on the Deluxe One platform. Real-time visualizations offer deeper levels of insight into each publisher’s individual video delivery metrics, including time-to-first-frame, bitrate shifts, buffering, access network performance, as well as complete details on DLVR’s multi-CDN decisioning and publisher CDN costs including breakouts for cost per asset. DLVR’s unique, cloud-based methodology distinguishes between content delivery networks and network access providers, providing publishers more accurate and refined insights into their video delivery and powering smarter multi-CDN decisioning. DLVR’s 100% cloud-based optimizations don’t require any SDKs or plug-ins, eliminating the resources needed for development and testing client-side updates, and future-proofing the service for new devices entering the market. To learn more about Deluxe One visit www.one.bydeluxe.com. DLVR (pronounced “deliver”) provides advanced technology solutions to improve internet video viewing experiences for every user, on every device. DLVR’s video delivery optimization service ensures streaming video achieves peak performance and avoids catastrophes large and small. DLVR’s patented technology uses an industry-first approach that measures CDN performance across a publisher’s actual streams and optimizes user video requests stream-by-stream, taking into consideration all the factors that influence the Quality of Experience (QoE) of Internet video for end users. DLVR works with existing digital video workflows without requiring any modifications to apps or CDNs. DLVR’s purpose-built, video optimization infrastructure and services are used by leading publishers around the globe to maximize their multi-CDN strategies and overall quality of experience. For more information visit www.DLVR.com.